Why hello there… it’s been a while. Things have been wacky at work. And only partly in a good way. More on that later. 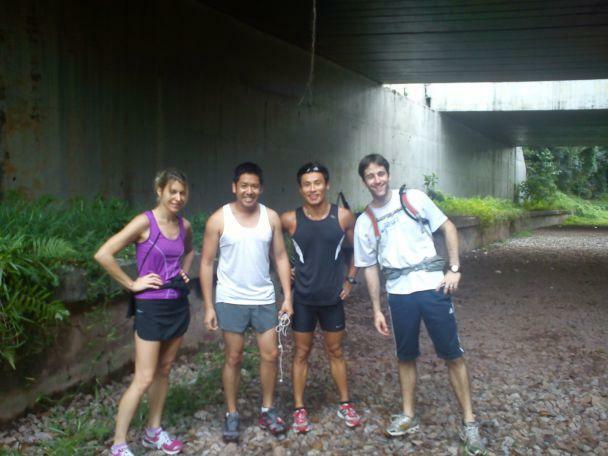 A couple of weeks ago I ran part of the Rail Corridor trail with some friends, just for fun. It’s been some time since the tracks were removed at the end of last year, and I wanted to see whether it was runnable and properly turfed over. 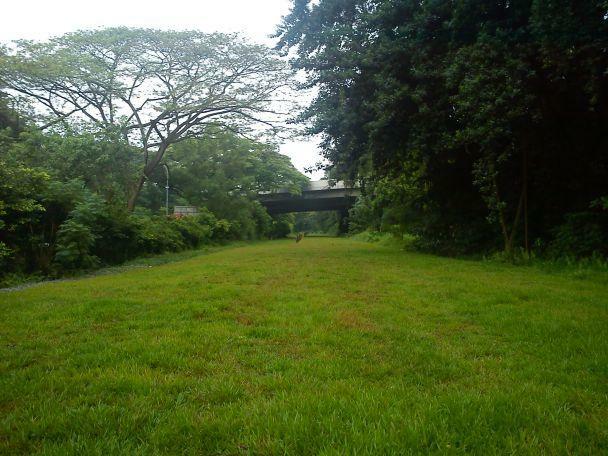 A bit about the Rail Corridor: This used to be the Keretapi Tanah Melayu (KTM) railway line, which ran from Tanjong Pagar to Woodlands. Last July, train services along the stretch ceased, and the trains now run out of Woodlands, northwards to Malaysia and Thailand. 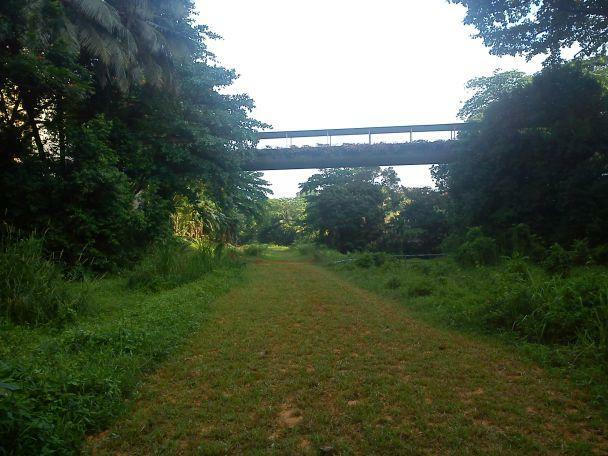 The land was returned to Singapore for maintenance, and under an agreement with Malaysia, the train tracks and equipment were given back to KTM. And local civil society groups asked the government if it could be kept a continuous, green stretch. So far, that looks like a distinct possibility, as the land is quite narrow. As we found out, it makes an excellent walking and running trail. Quite a number of people want it to be kept this way, in its rustic state! Some people like wilder trails, but I think that for the benefit of the maximum number of people (including small children and the elderly) it would work well as a relatively tame, flat (but not engineered or overly manicured) grassy strip. We set off at nearly 8am from Silat Walk in Bukit Merah. As you can see, the parts under highways and bridges had a lot of gravel left. Ankle-busting,fist-sized gravel, I may add. This is the same stuff that was used as ballast on the railway tracks. Most of it has been cleared, but a few patches remain. In all we ran about 14km from Silat Walk to Rail Mall in Upper Bukit Timah. The trail goes through Bukit Merah, Alexandra, Queenstown, Commonwealth, Buona Vista, Ghim Moh, Clementi, and Bukit Timah. 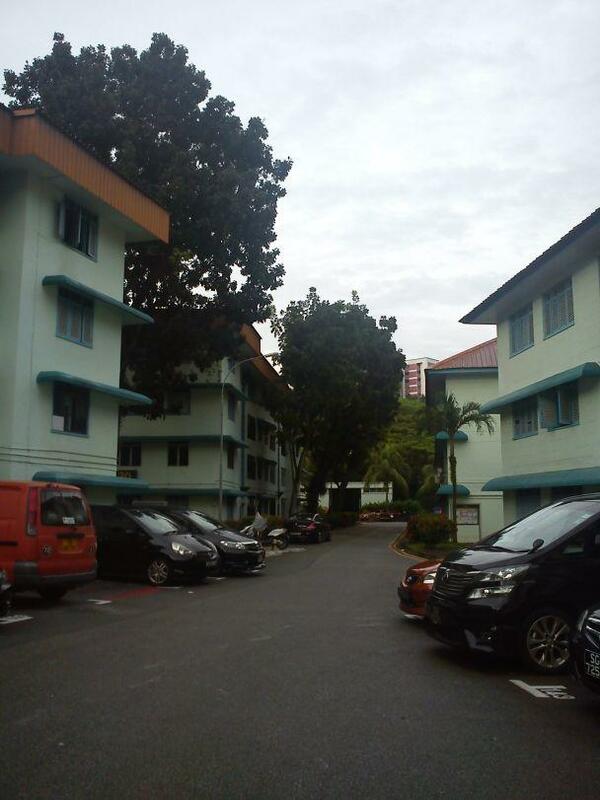 Further north, it goes through the more industrial Choa Chu Kang and Woodlands. Down south, though, it’s mostly flat and pleasantly green. There are so many neighbourhoods along this trail stretch. Residents could even form volunteer trailwork brigades, to help maintain the trail and clear logs and obstacles. So, about work: I can’t tell you much right now, but my environment-and-science beat is expanding (what, like we don’t have enough work already?) but I’m excited about this particular expansion: it’s going to stretch to encompass heritage, religion and civil society. Half of it is a little bit more about Singapore’s past. The other half of it is a little bit more about Singapore’s future. And the two are so closely linked. I think history isn’t destiny, but the way a nation treats its history and environment will tell you a lot about what it is destined for.